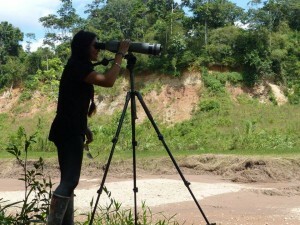 Project World School | Macaws, Mosquitos, and Monkeys, Oh My! 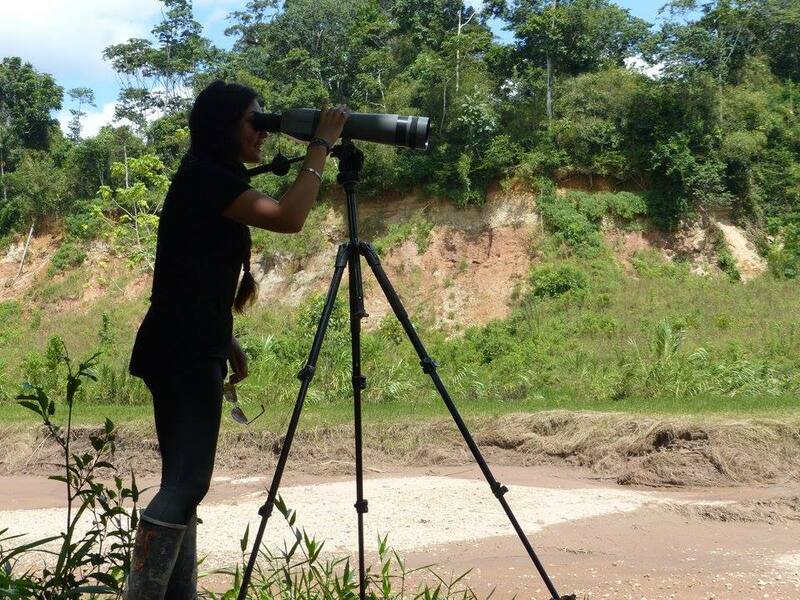 Macaws, Mosquitos, and Monkeys, Oh My! We went to the Amazon Jungle for a retreat! Whoa! Project World School partnered with the fantastic company, Rainforest Expeditions, and we could not have been more pleased with how it turned out. Our lodges and guides were over the top incredible, and I feel so blessed to have experienced such an incredible place on this planet. There was no absence of wildlife and adventure during our visit. We saw 6 of the 7 species of monkeys in this national reserve; we saw peccaries, millipedes, frogs, snakes, and more than our fair share of mosquitos. 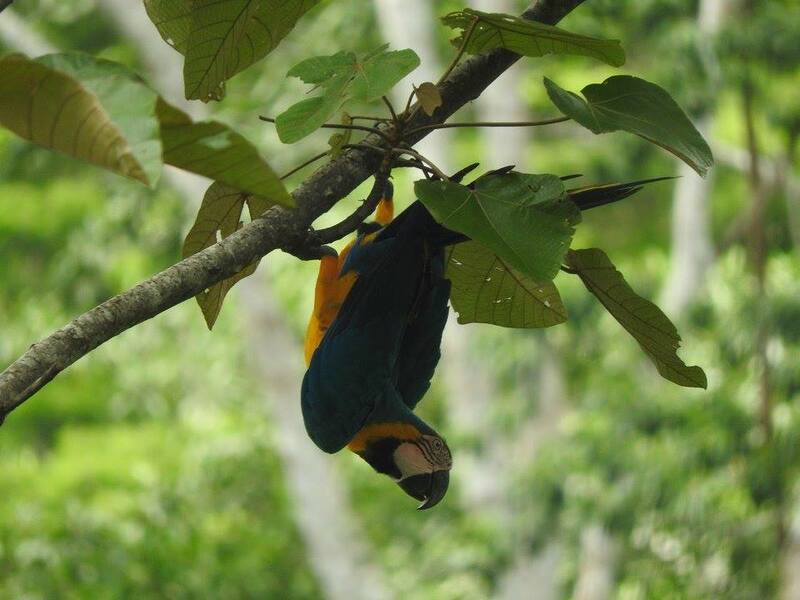 We experienced a boat rescue, a true rainforest storm, sat in on Macaw chick monitoring sessions, and so much more! The researchers and volunteers for the Macaw Research Project talked to us about the program, and how important the preservation of the Macaws is. We even got to love up on the wonderful Macaws at the Tambopata Research Center that were rescued as chicks 20 years ago, the Chicos. This trip truly has changed how we see the outdoors, and has installed a new found respect for the untouched earth and the beings that live on it. Even just within the lodge we learned so much. The artists in residence gave us talks on their work, that ranged all the way from bottling the smells of the Amazon to capturing the sounds of the wind and fluttering of butterfly wings. We experienced the researchers and volunteers waking up at 4:30am every morning to go monitor the clay lick for 6 hours. We also had the opportunity to actually be the tourists and visitors in that situation. 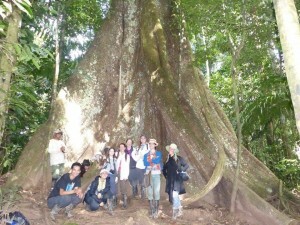 Normally, Project World School works hard to give a non-tourist point of view of the country and environment. On this retreat though, that was nearly impossible. In order to respect and honor this reserve, it was our duty to go with an eco-lodge that works in tandem with the land to protect it. We’ve been able to see many different visitors come and go such as a Chilean film crew, an older Spanish couple, a Swiss couple that had fantastic pants, and a few families with young children as w ell. Our group observed and discussed what it is to be respectful and helpful, even on what is considered a vacation or retreat. I think I can speak for all of us when I saw we are truly grateful for this beautiful journey into the jungle, and for all that it has taught us. Thank you, world! For more photos from this retreat, check out the gallery! Katie, you are an outstanding writer. Fantastic job!